HomemadeKarma makes accessories, lamps and jewelry using vintage objects, retro telephones, chess pieces and measuring tape. Everything changes and everything transforms. The Buddhists call it samsara; the cycle of life. The law of karma. Artistic recycling, upcycling, repurposing, reclaiming; call it what you like. Ceci n´est pas une pipe. Life is all about creating. 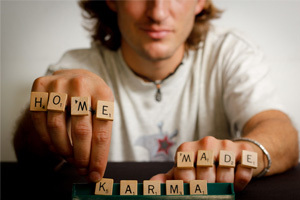 All items designed and handmade by HomemadeKarma. 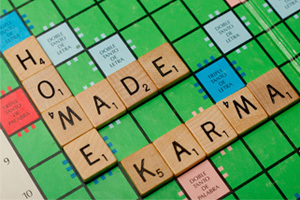 Good karma included. Any questions, comments or you just want to say hello? Use the contact form or send me an email. Thanks!